and a visionary contribution to world harmony. 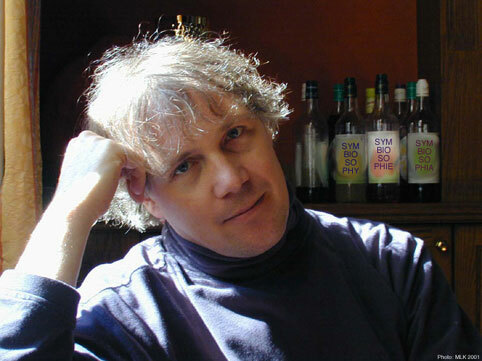 Abstract : Symbiosophy - or "the wisdom of living together" - takes up the questions connected with the new universalist approaches to our contemporary situation. Encompassing numerous disciplines, it stresses all that concerns the blossoming of the diversity of the human, animal and vegetable kingdoms; including the elementary and environmental resources of our planet. That is, all the interdependent links of the Homeric and Macrobian "golden chain of beings". Thus, a "symbiosophic awareness" could help to mollyfy potential future conflicts. 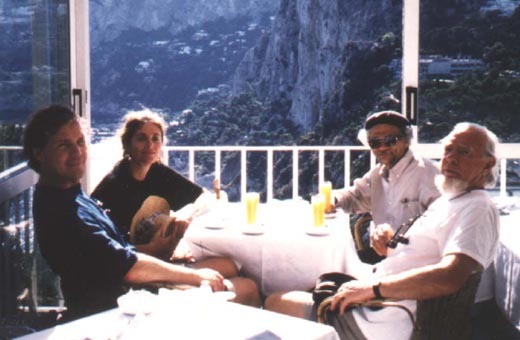 At The Capri Seminar, July 13th 1996 / The Capri Institute for International Social Philosphy / Prof. Gunnar Adler-Karlsson Stockholm (on the right of the picture). French text : "Pour une approche symbiosophique de la Nature", in XXVe Congrès de l'Association des Sociétés de Philosophie de Langue Française, Lausanne 26 août 1994." / "Esquisse d'une utopie: la symbiosophie", in Séminaire sur l'Utopie, Université Paris Dauphine (sur invitation de Dominique de Bardonnèche-Berglund et Prof. Elie Théophilakis), 15 octobre 1994. Published : Wolfgang Wackernagel, "Pour une approche symbiosophique de la nature" in Daniel Schulthess, ed., La Nature. Thèmes philosophiques, thèmes d'actualité, Actes du XXVe Congrès de l'Association des Sociétés de Philosophie de Langue Française, Lausanne 25-28 août 1994, Cahiers de la Revue de Théologie et Philosophie, n. 18, Lausanne1996, p. 296-300. Published : Wolfgang Wackernagel, "Symbiosophie : Der west-östliche Diwan philosophischer Praxis." Vortrag auf dem Kolloquium der Gesellschaft für Philosophische Praxis in Tübingen am 29. Oktober 1994, in: Zeitschrift für Philosophische Praxis 2/96, Sankt Augustin, Academia Verlag 1996, S. 20-22. 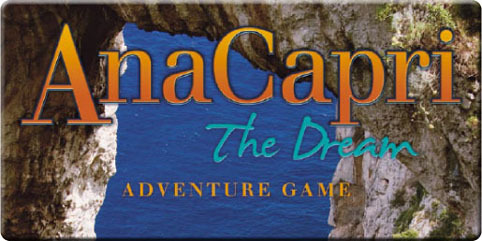 Anacapri the Dream is an explosive mix of mythology, literature, legends and history of the island of Capri. You will interact with real townspeople, legendary and historical Anacapri characters, such as famous doctor and writer Axel Munthe, philosopher Gunnar Adler-Karlsson, as well as several mythical characters such as Nereus, Poseidon, the Siren and the Nereids. Your quest for the Obsidian Disk will plunge you into the magical scenery of the Capri island; you will explore the deep Blue Grotto, sail the sea around the Faraglioni, traverse Tiberius Roman villas of Damecuta and Palazzo a Mare, climb up Mount Solaro, wander across the Path of the Forts, visit the mystical hermitage of Cetrella, Villa San Michele and the Philosophical Park. Your journey will eventually lead to the final upsetting revelation and a thrilling alternate ending.